Peregrine’s E.S.G. consists of installation staff, service technicians, and our alarm monitoring /systems management personnel that operate 24/7. Our objective is to deliver a seamless relationship between what technology is installed, who repairs and services the equipment, who monitors the system, and who is dispatched to investigate alarm events. Being a full service company ensures we stay close to the needs of our clients. 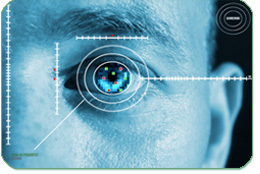 Seeing their security challenges through their eyes means we can develop the appropriate solution to the actual problems. Through the E.S.G., Peregrine offers electronic protection and safety oversight technology including access control, (card access systems), video surveillance networks, and intrusion detection systems (alarm systems), to name a few. Our systems are monitored centrally through The Peregrine Protection Center, (P.P.C. ), which is the hub of Peregrines 24/7 client support methodology. This secure facility not only monitors our systems but can dispatch our Mobile Security personnel should any event occur. No security system is complete without a response mechanism and Peregrine provides these services through our General Protection Group. The PPC is the 24/7 nerve center of Peregrine. A highly secure facility that has state-of-the-art equipment and high connectivity to ensure that our client support is continuous and complete. With full systems redundancy Peregrine can continue to provide client services under the most demanding of circumstances. Through emergency power support and remote mirrored support reliance on Peregrine 24 hours a day seven days a week is assured. 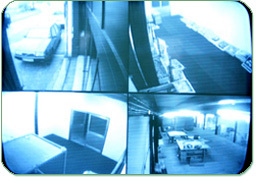 All of the systems provided by Peregrine have the ability to be viewed remotely this is an extremely cost effective manner in which to protect assets and property. Systems are so highly specific no event goes unnoticed and all systems are fully accountable historically. If something happens The PPC will see at any time of the day or night. In addition to the core capabilities of Peregrine, the company is developing unique abilities in the bio-metric and Internet Protocol security market. Whether the need is to remotely view video systems, track valuable mobile assets, (or to protect very high value locations), Peregrine is on the leading edge of new advanced security applications. Global Positioning Technologies are an example of the need to “watch over something” 24/7 and Peregrine’s Incident Management Center is technically positioned to do that.